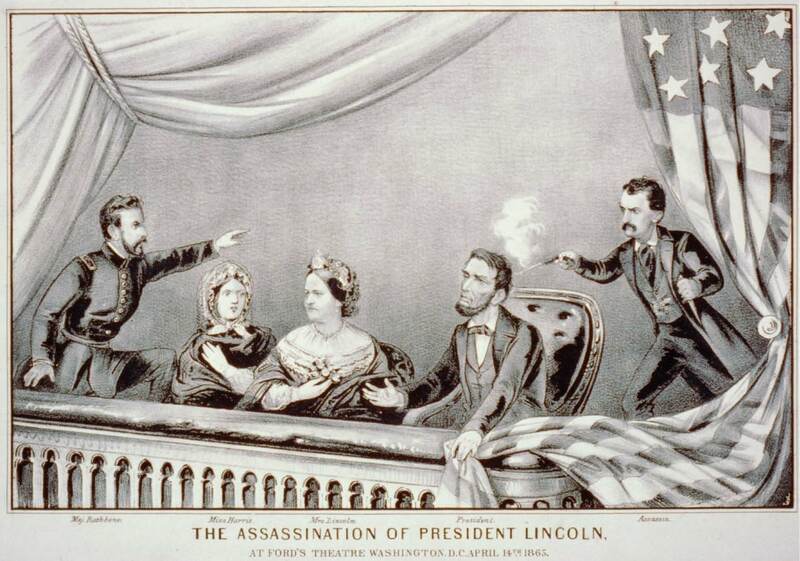 Like the 100th anniversary of the sinking of the Titanic, tonight marks the 147th anniversary of the shooting of Abraham Lincoln by John Wilkes Booth at Ford’s Theatre in Washington, D.C. The time was 10:15 pm EST. Tonight, if you are in the Eastern Time Zone under Daylight Savings Time, if you wish to accurately commemorate the moment, you would do this at 11:15 pm EDT. The President would live throughout the night but die at 7:22 am the following morning on Saturday, April 15. This can be commemorated at 8:22 am EDT. In three years (2015), it will be the 150th anniversary of the assassination. 1. Did you know … that Abraham Lincoln was the first President to make Thanksgiving a national holiday! On October 3, 1863 he issued a proclamation that set the precedent for the national holiday observed today. It is often referred to as the Proclamation of Thanksgiving and was written by Secretary of State, William Seward. Here is the proclamation as found in the Collected Works of Abraham Lincoln, Volume 6, pages 497-498, edited by Roy P. Basler. The year that is drawing towards its close, has been filled with the blessings of fruitful fields and healthful skies. To these bounties, which are so constantly enjoyed that we are prone to forget the source from which they come, others have been added, which are of so extraordinary a nature, that they cannot fail to penetrate and soften even the heart which is habitually insensible to the ever watchful providence of Almighty God. In the midst of a civil war of unequalled magnitude and severity, which has sometimes seemed to foreign States to invite and to provoke their aggression, peace has been preserved with all nations, order has been maintained, the laws have been respected and obeyed, and harmony has prevailed everywhere except in the theatre of military conflict; while that theatre has been greatly contracted by the advancing armies and navies of the Union. Needful diversions of wealth and of strength from the fields of peaceful industry to the national defence, have not arrested the plough, the shuttle or the ship; the axe has enlarged the borders of our settlements, and the mines, as well of iron and coal as of the precious metals, have yielded even more abundantly than heretofore. Population has steadily increased, notwithstanding the waste that has been made in the camp, the siege and the battle-field; and the country, rejoicing in the consciousness of augmented strength and vigor, is permitted to expect continuance of years with large increase of freedom. No human counsel hath devised nor hath any mortal hand worked out these great things. They are the gracious gifts of the Most High God, who,Page 497 while dealing with us in anger for our sins, hath nevertheless remembered mercy. It has seemed to me fit and proper that they should be solemnly, reverently and gratefully acknowledged as with one heart and one voice by the whole American People. I do therefore invite my fellow citizens in every part of the United States, and also those who are at sea and those who are sojourning in foreign lands, to set apart and observe the last Thursday of November next, as a day of Thanksgiving and Praise to our beneficent Father who dwelleth in the Heavens. And I recommend to them that while offering up the ascriptions justly due to Him for such singular deliverances and blessings, they do also, with humble penitence for our national perverseness and disobedience, commend to His tender care all those who have become widows, orphans, mourners or sufferers in the lamentable civil strife in which we are unavoidably engaged, and fervently implore the interposition of the Almighty Hand to heal the wounds of the nation and to restore it as soon as may be consistent with the Divine purposes to the full enjoyment of peace, harmony, tranquillity and Union. 2. Did you know … that on April 14, 1956, the last surviving person who was in Ford’s Theatre the night of the assassination passed away. His name was Samuel J. Seymour and he was 96 years old. 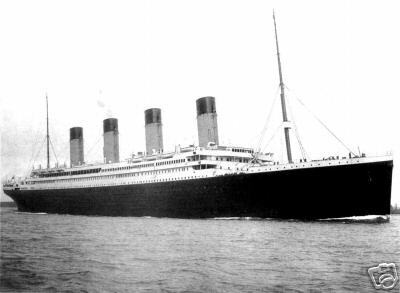 It’s ironic that he died exactly 91 years to the day that the assassination took place. At the time of the assassination, Seymour was just 5 years old. His godmother, Mrs. George S. Goldsborough, took him to see Our American Cousin. They sat in the Dress Circle facing opposite the Presidential box and witnessed the assassination and Booth’s leap to the stage. Reference: We Saw Lincoln Shot: One Hundred Eyewitness Accounts by Timothy S. Good. 3. Did you know … that Abraham Lincoln wore reading glasses? He first needed them at age 47 (around 1856). 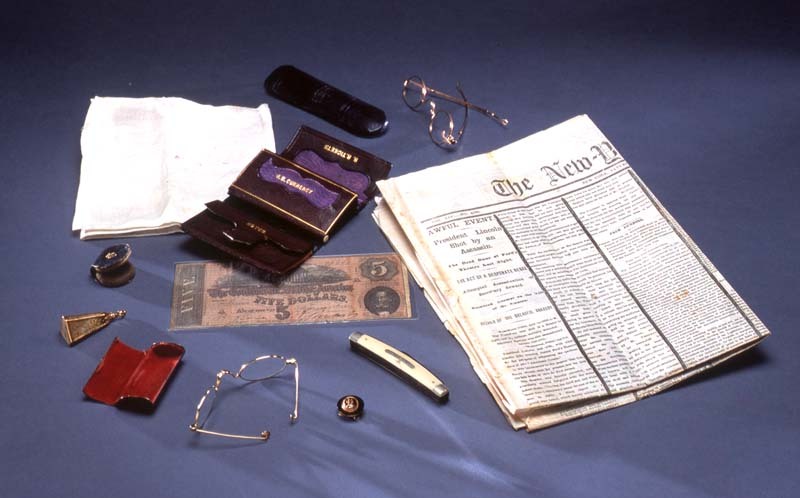 On the night of his death, the contents of Lincoln’s pockets held two pairs of his glasses/spectacles. The prescription for the lenses of the spectacles is +1.75 and +2.00. 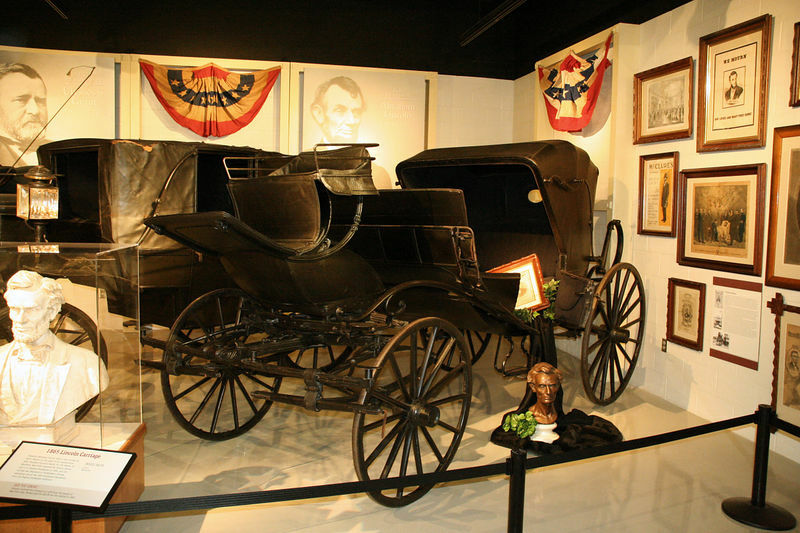 Above is the collection of items President Lincoln had in his possession on the night of his assassination. Two pairs of eyeglasses were part of that collection. Courtesy Library of Congress. NOTE: Just this month (November 19, 2008), a pair of Abraham Lincoln’s spectacles sold at the 2008 November The John Lattimer Collection of Lincolniana Grand Format Auction #6014 for US$179,250.00. The pair is made of zinc-colored metal with adjustable frames, open loop terminals. 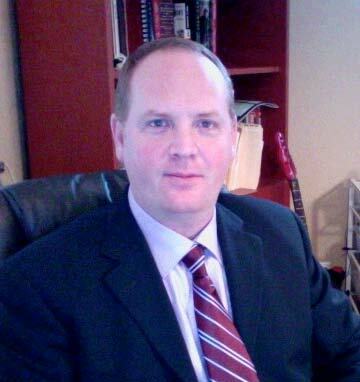 UPDATED: July 29, 2013: Hi all: Thanks to some great comments and observations from my readers, I’ve made a couple of changes to the article. TO MY READERS: If you know the location of any artifacts related to the assassination, conspirators and trial, execution, etc. that are not on this list, then please let me know and I will be happy to include your submittal, once confirmed. Here is a list of locations where Lincoln Assassination / Aftermath Artifacts can be found in public institutions. Many more remain in private collections which are not listed here. If you know of any items that I’ve missed, please let me know and I’ll gladly add them to the list. The ball (bullet) that killed President Lincoln recovered during the autopsy. Skull fragments from Lincoln recovered during the autopsy. 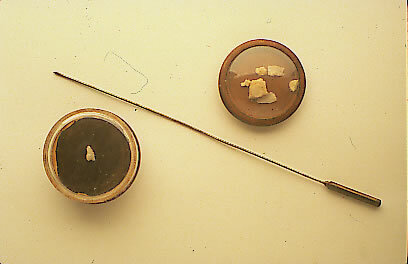 The probe used by Dr. Barnes to remove the ball and skull fragments from Lincoln’s injury during the autopsy. (NEW RN) – Blood stained cuffs from the lab coat worn by Dr. Edward Curtis (assistant surgeon who, along with Dr. Woodward, performed the autopsy on President Lincoln). Although not assassination artifacts, here are a pair of cast hands and two plaster Life Masks made from 1st generation molds taken from Lincoln during his life. The original molds were made by two different artists, Leonard Volk and Clark Mills. 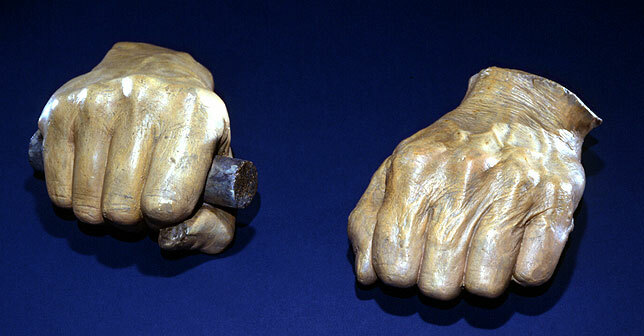 A pair of cast hands and the first Life Mask made in 1860 by Leonard Volk just prior to Lincoln’s nomination for president at the Republican convention. 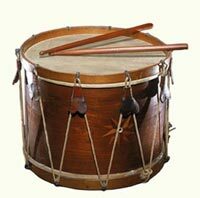 The second was made by Clark Mills on February 11, 1865 just two months prior to Lincoln’s assassination. 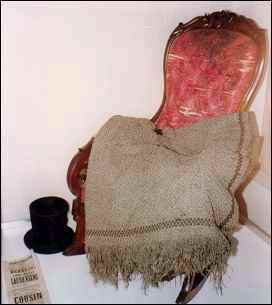 Lincoln’s Top Hat that he wore to Ford’s Theatre on April 14, 1865. 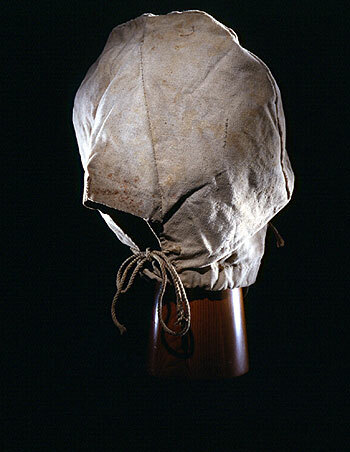 Canvas hood used to cover the head of one of the seven male conspirators during captivity. On April 25, 1865, Secretary of War Edwin Stanton ordered that the heads of all the conspirator prisoners be convered with a canvas hood. Only an opening in the area of the mouth and nose allowed breathing and eating. The hoods were worn 24 hours a day until June 6, 1865 when Major General John Hartranft, Special Provost Marshal in charge of the prisoners and execution had them removed. He felt that the prisoners were suffering too much because of the hoods. Mary Surratt was not required to wear the hood for fear that public indignation would be strong. Contents of Lincoln’s pockets at time of his assassination (with the exception of the newspaper which was published after the assassination). The contents of Lincoln’s pockets from the night of the assassination. Some of these items include: nine newspaper clippings, a pair of spectacles and a pair of reading glasses and their cases, a lens polisher, a watch fob, a pocket knife, a brown leather wallet containing a Confederate $5.00 note and a linen hankerchief. Inner door where Booth had carved a small peep hole to see the President prior to assassinating him. Wooden stick used by Booth to wedge the outer door shut to the Presidential Box. The dress coat that Lincoln wore to the theatre that night. US Treaury Guards Flag from Presidential Box which Booth’s spur caught on when he jumped to the stage. 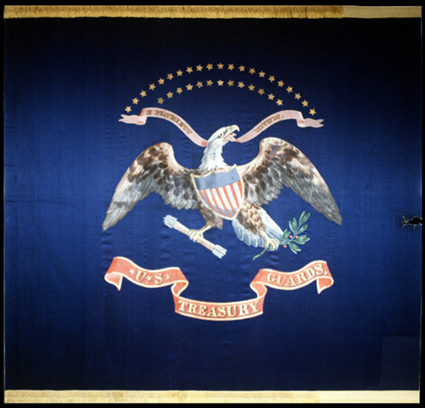 The following two artifacts are currently on display at the Kansas Museum of History in Topeka, KS in an exhibit called Lincoln in Kansas. The show is currently on and runs until July 26, 2009. These two artifacts are normally not on display and have been brought out for this specific exhibition. Blood-stained playbill from night of the assassination. Courtesy of Kansas State Historical Society. Blood splattered playbill fragment picked up by patron at Ford’s Theatre on the night of the assassination. 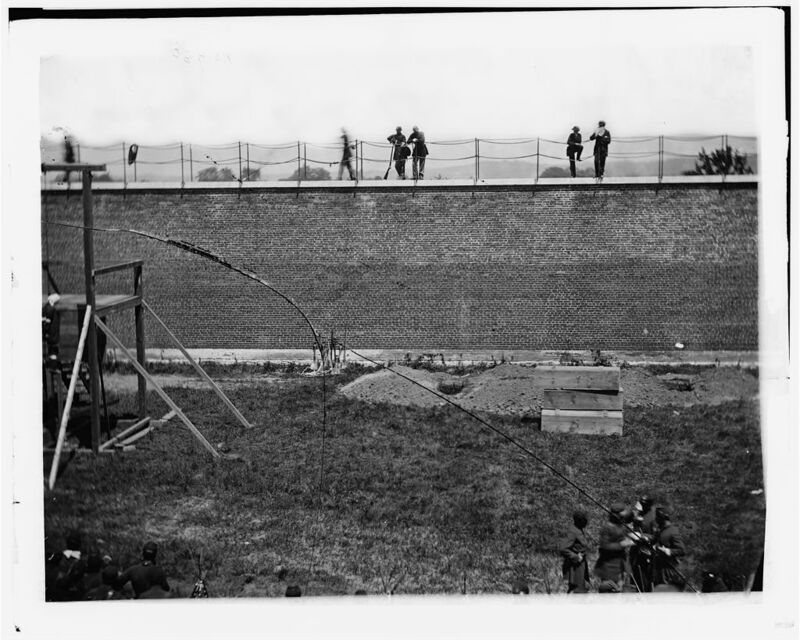 Section of the gallows crossbeam used to hang the four condemned Lincoln conspirators (Mary Surratt, Lewis Powell, David Herold and George Atzerodt). (NEW-RN) Hair sample from Abraham Lincoln’s autopsy. (NEW-RN) Hair sample from Abraham Lincoln’s autopsy (Note: This item was part of the Lincoln collection obtained from the Lincoln Museum, Ft. Wayne, IN which closed in June/08). (NEW-RN & Dan Parker Plymouth Historical Museum) – Hair sample donated by Surgeon General Barnes family. Hair was culled from Abraham Lincoln’s during the initial exploration of the president’s wound after being shot. (NEW-BH) – Lewis Powell’s knife used in the attack on Secretary of State William Seward on April 14, 1865. 1. Did you know … that Abraham Lincoln never traveled to a foreign country. He spent his entire life in the United States. There is no record of him ever entering Canada or Mexico. Nor did he ever travel abroad. However, on the night of his assassination, he mentioned to his wife Mary that he would like to one day visit Jerusalem. 2. Did you know … that fifteen people turned down President Lincoln’s invitation to join him and Mary at Ford’s Theatre on the night of his assassination, April 14, 1865? One reason is that it was Good Friday of the Easter weekend so many of them could have had other plans, as they claimed. But when you consider that fifteen people turned down the President of the United States to spend the evening with him, it does make you wonder. The fifteen that turned down the Lincoln’s were, (in no particular order): Mr. & Mrs. Edwin Stanton, General & Mrs. Ulysses S. Grant, William A. Howard, General Isham N. Haynie, Richard J. Olgesby, Richard Yates, Noah Brooks, Thomas Eckert, George Ashmun, Schuyler Colfax, Mr. & Mrs. William H. Wallace & Robert Lincoln. What reasons did they have? Here are the reasons given by each participant. 1 & 2. Edwin Stanton was Lincoln’s Secretary of War. Mrs. Stanton did not like Mary Todd Lincoln and this is believed to be the reason they turned down the invitation. 3 & 4. Mr. & Mrs. Ulysses S. Grant told the President that they were catching a train to New Jersey to visit their children for the weekend. 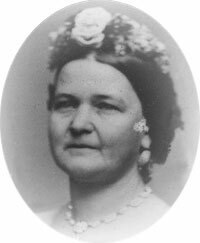 The real belief was that, like Mrs. Stanton, Mrs. Grant did not like Mary Todd Lincoln and had no intention of spending an evening with her. 5. William A. Howard, was the Postmaster of Detroit. He told Mr. Lincoln that the he was headed out of town later that day. 6, 7 & 8. General Isham N. Haynie (a visitor from Illinois), Richard J. Olgesby (Governor of Illinois) & Richard Yates (ex-Governor of Illinois) all claimed to be meeting friends that night. 9. Noah Brooks was a reporter who turned down the Lincoln’s because he was suffering from a cold. 10. Thomas Eckert was a telegraph operator at the War Department. Secretary of War Edwin Stanton told Eckert that he could not go because he had too much work to do. 11. George Ashmun of Massachusetts had presided over the 1860 Republican Convention (where Lincoln was nominated for President) explained to Mr. Lincoln that he had a previous engagement. 12. Shuyler Colfax, the Speaker of the House of Representatives was traveling to the Pacific Coast the following morning so declined the evening out. 13 & 14. Mr. & Mrs. William H. Wallace, the Governor of Idaho territories, claimed to be too tired to attend the play that evening. 15. Robert Lincoln, the President’s eldest son, turned them down because he had just returned from a tour of duty with General Grant. He was tired and just wanted to go to bed. So, for whatever reasons these fifteen people had that day, there is no telling if any of them would have been able to save the President from his fate that night. We can just never know. 1. Did you know … that the former First Lady, Mary Todd Lincoln, was committed to an insane asylum in 1875. And the person who arranged it all was her only surviving son, Robert Lincoln! Sadly, it’s true. If Mary Todd Lincoln interests you, please read an interview I did with a Mary Todd Lincoln researcher and performer, Laura Frances Keyes. 2. 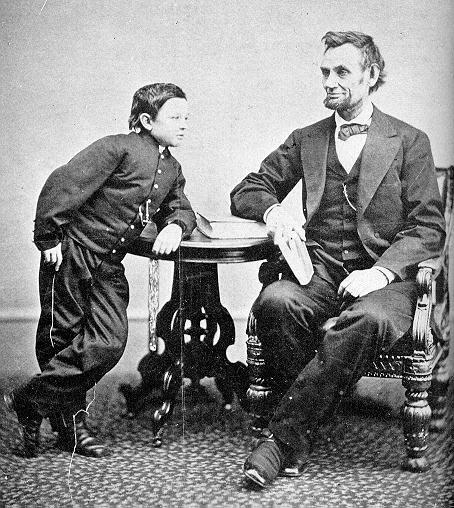 Did you know … that Tad Lincoln (the President’s youngest son) was at another theatre the night his father was shot. Tad was attending a performance of “Aladdin or the Wonderful Lamp” at Grover’s Theatre. He was in the company of his tutor, who had the news of the shooting whispered to him. The tutor hurried Tad out of the theatre and took him back home to the White House. 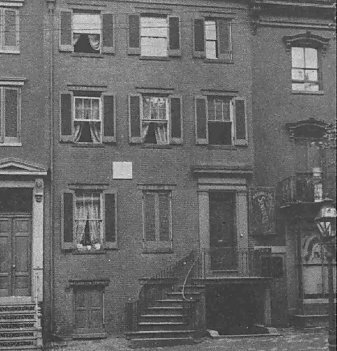 Contrary to popular belief, Tad was never taken to the Peterson House where his father lay dying. However, his older brother Robert went there and tried to comfort his mother during the long night. Tad and Abraham Lincoln taken by Alexander Gardner on February 5, 1865. 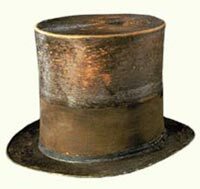 As we move closer towards the 200th anniversary of Abraham Lincoln’s birthday (February 12, 2009), I will continue to post unique stories and featurettes on the man, as well as locations where you can visit to see artifacts from his life. To start the ball rolling, I’ll lead you to another great depository of Lincoln artifacts and history. 1. Did you know… that the Abraham Lincoln Presidential Library and Museum in Springfield, Illinois is dedicated to sharing the life of Lincoln and his family to visitors. Displays, exhibits, interactives and many artifacts are part of the museum’s presentation. Visit http://www.alplm.org/museum/museum.html for current information. 2. Did you know… that the there is a medical debate that started in the 1960’s about whether Mr Lincoln had Marfan Syndrome. It is an argument that still goes on to this day. According to an article in About.com titled Abraham Lincoln and Marfan Syndrome the story suggests that “The diagnosis was based on physical observations of Lincoln: the fact that he was much taller than most men of his day, with long limbs, an abnormally-shaped chest, and loose (lax) joints (based on written descriptions). Marfan syndrome is an inherited disorder of connective tissue, although about one-quarter of all cases occur without any family history of the syndrome. It affects both men and women of any ethnic background. Heart – The main artery which carries blood away from the heart, the aorta, is weak and fragile, and can tear or burst if left untreated. The heart’s mitral valve can also leak or fail. Bones and joints – People with Marfan syndrome tend to have long limbs and are usually, but not always, tall. The syndrome can also cause spine problems, abnormally-shaped chest, and loose joints. Eyes – The syndrome often causes nearsightedness, and about 50% of the time dislocation of the lens of the eye. Note: Lincoln also had a droopy right eye. 3. Did you know… David Herold, who was one of four Lincoln assassination conspirators hung on July 7, 1865, spent 12 days on the run in the company of John Wilkes Booth. When finally cornered in a barn at the Garrett farm in Virginia, Herold gave himself up to Union soldiers while Booth refused to. Booth was eventually shot in the neck, paralyzed and died at the scene. David Herold was tried with seven suspected conspirators, of which he, and three others were sentenced to death by hanging at the Old Arsenel Penitentiary. By the way, David Herold is the third from the left. 4. Did You Know… that the price of tickets for the production of “Our American Cousin” at Ford’s Theatre the night of the assassination was as follows: Orchestra (main level, chair seating) $1.00, Dress Circle (first balcony, chair seating) $.75, Family Circle (second balcony, bench seating) $.50.